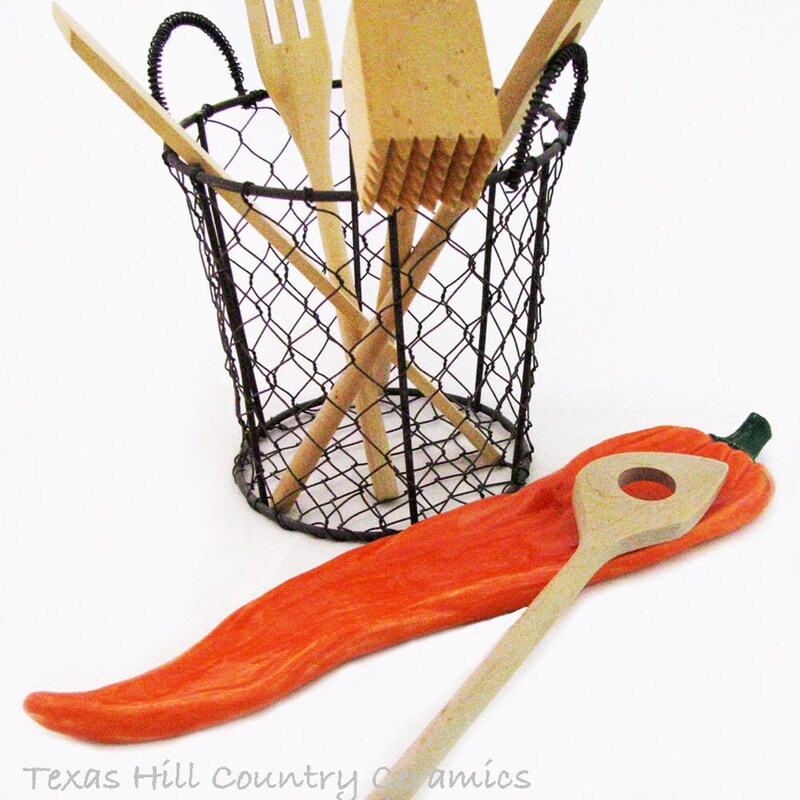 If you love to entertain guests then this festive and bright sizzling Chili Pepper Party Tray is perfect for serving your favorite foods. 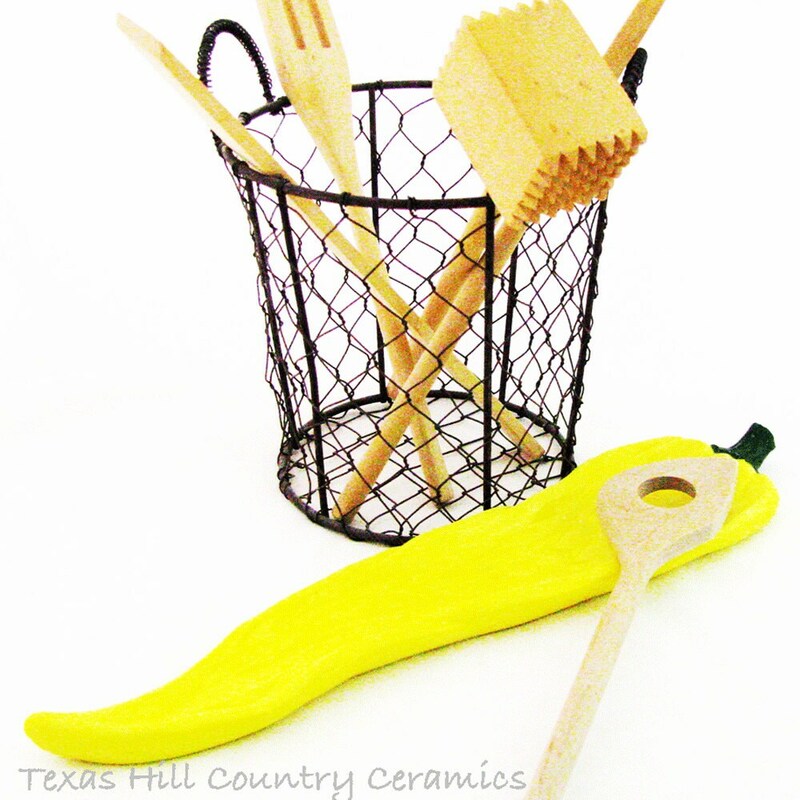 This long ceramic pepper tray can also double as a long spoon rest for kitchen counters or stoves, cooktops or buffet serving areas. 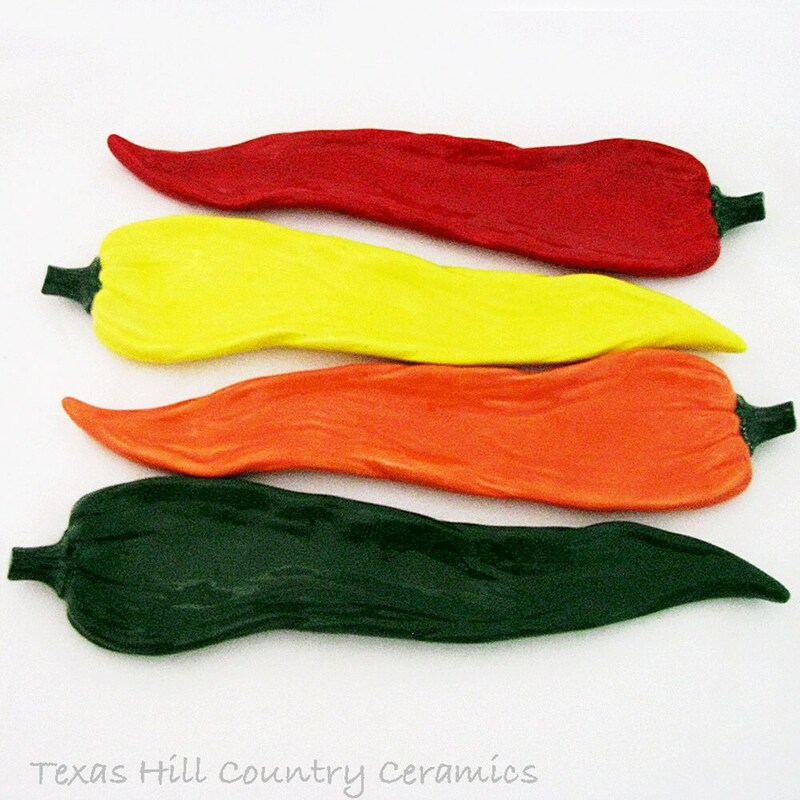 You can also hang it on the wall to enhance any southwest or Texas pepper decor. Create a warm and festive table with these bright festive trays available in green, orange, red and yellow. 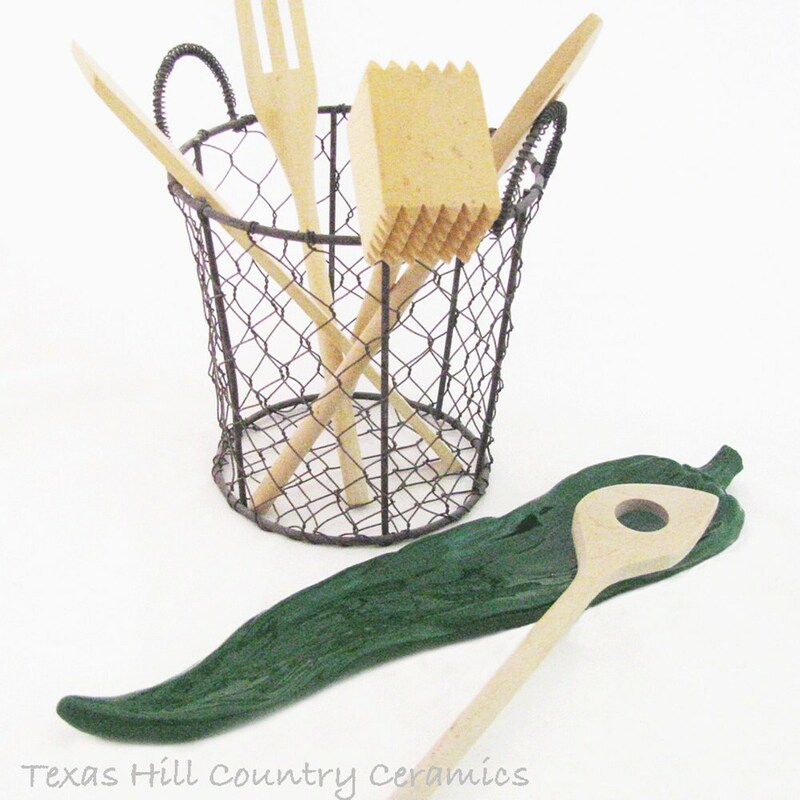 Made of kiln fired ceramic earthenware and finished with food safe glaze, it is dishwasher safe. Choose from 4 colors, green, orange, red or yellow. Make your choice at checkout. 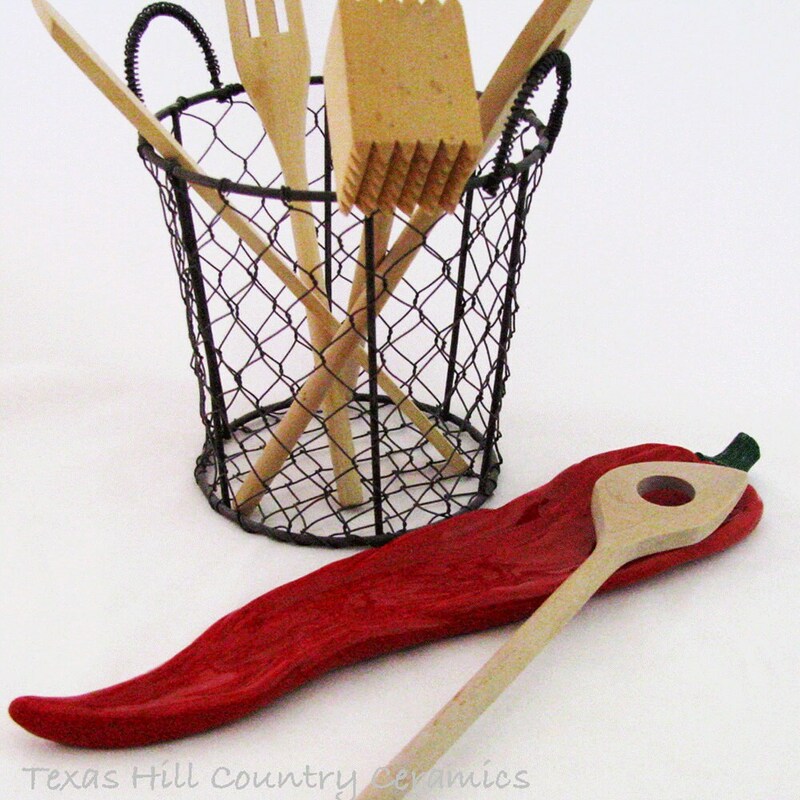 It is a great addition to any decor and it is both decorative and functional. Great housewarming gift.